Try to fathom the divergent opinions from the faithful, scholarly, and combined communities on the nature of Jesus Christ. Even the title of Christ (Greek for Messiah) acts as a source of debate, as the divine nature of Jesus is constantly called into question and questioned. It fuels religious discussions, which in the proper context are healthy, and at their worst do nothing to further anyone’s understanding. New Testament scholars debate every aspect of Jesus incessantly; after all, that is their job. Here are a few aspects that every scholar who is to be taken the least bit seriously agrees on: 1) Jesus was a real person who lived in Nazareth and 2) Through some chain events, Jesus was executed via crucifixion by the Roman Empire. Beyond these factoids, everything else seems to be up for debate. In my last religion post, I discussed the role of Judas as a pivotal moment in the passion narrative. Another such event is the moment in which Jesus is brought before the Roman governor Pilate. While there is no way to cover all the issues regarding this episode from the Bible, nor do I feel qualified to go into an in-depth discussion of it (I study the Hebrew Bible), I do want to bring a few issues to the attention of my readers. Whether you are a scholar, a faithful Christian, or just a curious reader, I hope you find the following enlightening. For this, I will discuss how the four Gospels approach the pericope of Jesus before Pilate. I will run through them quickly and then give my opinion at the end. Following standard scholarly practice of viewing Mark as the earliest of the canonical Gospels, I turn to it first. In true form, the Gospel of Mark’s story is the barebones version found in the other Gospels. In short, Jesus is brought before Pilate, who asks, “Are you the King of the Jews?” to which Jesus responds, “You say so” (Mark 15:1-5). After that, Barabbas is released in place of Jesus. 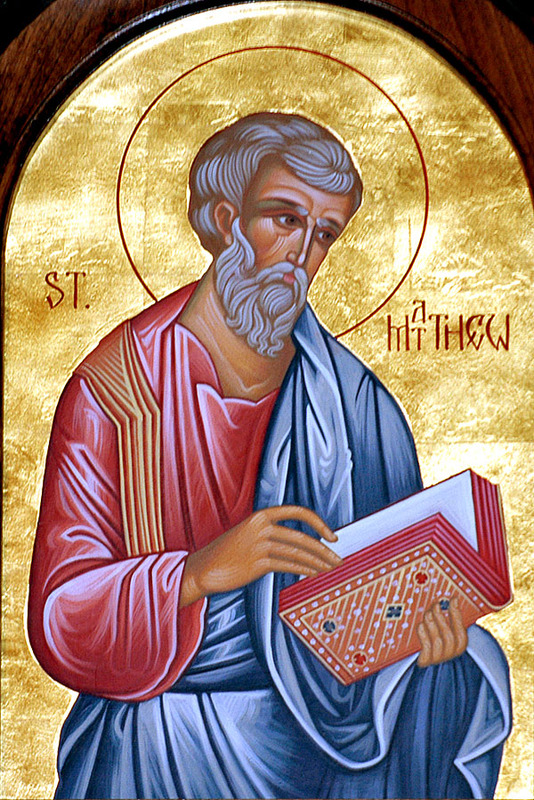 The Gospel of Matthew is very similar to Mark’s version, with the added details of the blood libel in Matthew 27:25 and more text addressing the conflicting thoughts of Pilate. Again, the initial encounter is the same between Jesus and Pilate. The difference comes afterward, where Pilate sends Jesus before Herod to be tried. The scene ends with the statement, “That same day Herod and Pilate became friends with each other; before this they had been enemies” (Luke 23:12). The Gospel of John’s presentation differs significantly form the Synoptic Gospels’ versions. In this, after Pilate’s question of “Are you the King of the Jews,” Jesus and Pilate enter into a discourse on the kingdom that is lacking in the other Gospels. Of course, this reflects the different tradition that John (not the author’s name) is building upon, and serves as one of many examples of how the Gospel of John differs from the other three. What do we make of this episode from the Gospels, and more importantly, what lessons should we take away from it? In terms of the actual differences, I have a simple explanation. This reflects different authors constructing their own narratives of the life of Jesus. The Gospel writers had access to different sources and they chose to make editorial decisions as to what survived in their writings and what did not. We must remember that the Gospels, nor any writing, were an eyewitness account of Jesus’s life, ministry, and death. All documents pertaining to Jesus are written after his death, with the earliest of these still nearly a decade after his execution. As I mentioned in the introduction, the complexity and depth of issues surrounding this episode from the Gospels are too massive to discuss within the context of a blog post, but there are some important lessons and issues I want you, the reader, to take away. First and most importantly, many aspects of this narrative have been used to further an anti-Semitic point of view by Christians. A lot of this is driven by the crowd reactions to Pilate’s question of whether Barabbas or Jesus should be set free. More to point, especially in the Gospel of Matthew, the blood libel has plagued the Christian perspective of Judaism for centuries. The Gospel of Matthew does not take a negative view of Jews. On the contrary, the entire Gospel takes great lengths to reinforce Jesus’ Jewish heritage as well as his adherence to Torah. Instead, I think the author of the Gospels are placing blame on and critiquing power, not the heritage/religion itself. The authors of the Gospels are, more than likely, Jewish. The early Christians were Jews, Jesus’ followers were Jews, and they continued to see themselves as Jewish for several decades after the founding of the movement that became Christianity. This is the reason why historical awareness is so important. Without proper perspective, horrible misinterpretations of the text lead to anti-Semitic views that are not only hateful, counterproductive, and counter to the teachings of Jesus, but have no foundation in history. Secondly, remember that Jesus was executed by the Roman Empire. The Romans sentenced Jesus to death and executed him via a Roman method. The Gospel writers paint those in power, Romans and Temple officials, as the antagonists in these narratives, not the Jews themselves. Unfortunately, so many people want to extend some form of culpability to the “Jews,” leading the way to fudging the historical evidence. As far as various texts of Jesus before Pilate, remember also that the various Gospel writers are attempting to either make sense or justify is some way the crucifixion. Jesus on the cross has a different meaning, depending on which Gospel one reads. Thus each writer is building his (likely male writers) own narrative that leads up to the point of execution. The topic of anti-Semitic interpretations of the New Testament would be a worthy blog post, or rather series of posts, but that will have to wait for another day. What I would like one to take away from this is that historical context and understanding are paramount for biblical interpretation. If you have an opinion on the matter, post a comment below or shoot me an e-mail at fromthedeskandshelf@gmail.com. As always, thank you for reading. This entry was posted in Religion and tagged Ancient History, Anti-Semitism, Biblical Interpretation, Christianity, Gospels, Jesus, New Testament, Pilate, Religion, Roman Empire. Bookmark the permalink. As always, very well said, and your favorite mother-in-law thinks that you are brilliant!